Students often need to convert PDF files to Word, beyond having to select and copy/paste page by page in Acrobat Reader, text (preserve formatting, images, tables), including deleting carriage returns. Re the latter, AFAIK even Acrobat Full cannot retain paragraphs without breaking it up line by line with carriage returns. This seems to be inherent to the nature of pdf as a page drawing language concerned with representation, not content. Most students also need to convert from Word to PDF, e.g. for their CVs. The Moorgate software image does not only seem to include “Acrobat Reader 9, but also an unspecified “PDF conversion utility” which seems to be PdfCreator 0.9 (see http://www.pdfcreator.de.vu). I explain using it here. There are a number of other free pdf-creators around, with varying abilities, like primopdf, winpdf, bullzip… If you find something better, add a comment here. There is also a free “Create PDF” service at http://www.acrobat.com/, limited to 5 pdfs (per email address? ), and a conversion from pdf to html at http://www.adobe.com/products/acrobat/access_onlinetools.html. KDE office on Linux is said to be able to convert PDF to editable formats. Gmail and Google docs can view PDF documents as HTML in the browser. 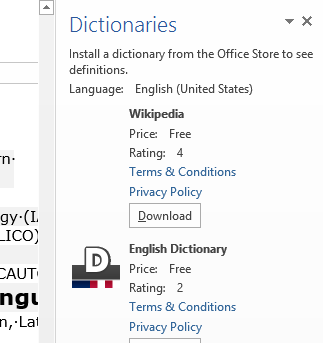 Note that Office 2007 can convert Word to PDF (and much more) and that HE Students can buy all of Office 2007 Ultimate at a hardly more than nominal fee (< £40) through http://www.microsoft.com/student/discounts/theultimatesteal-uk/default.aspx. University staff can get Microsoft Software for a nominal fee under the Work “at home” license agreement, see here.